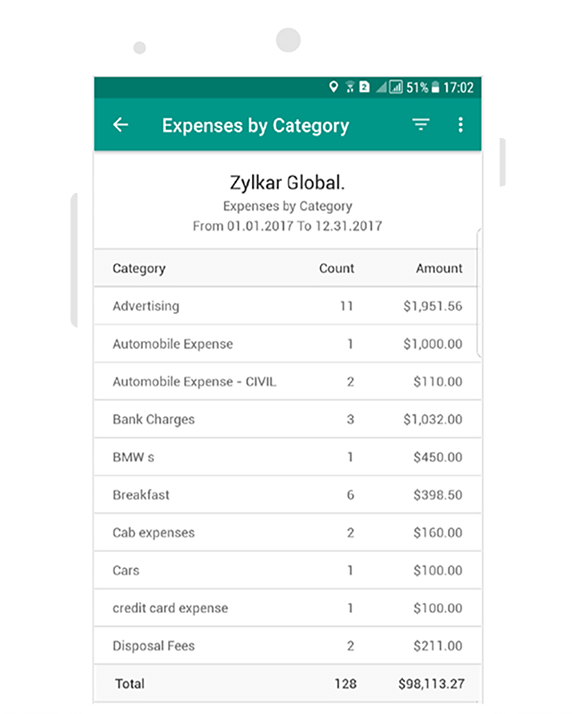 Upload receipts, record expenses and submit expense reports from anywhere with the best in class expense report apps. 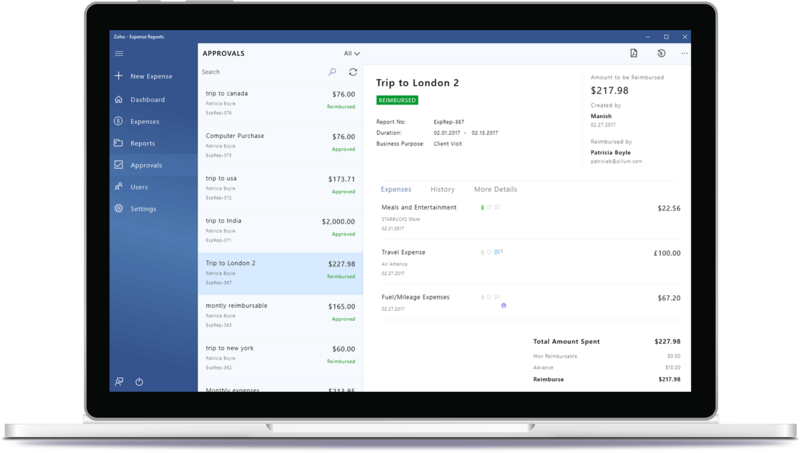 With widgets, you can capture expenses or record mileage directly from your iPhone or iPad's home screen. 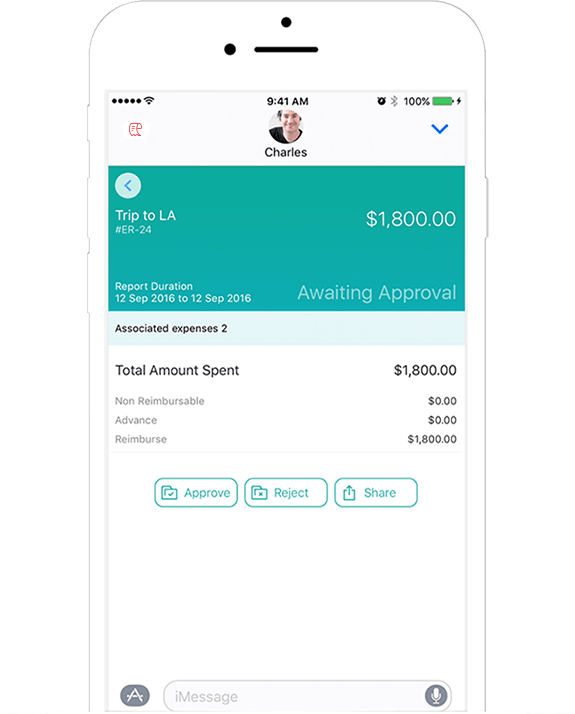 Send expense reports to your manager through iMessage and get them approved and reimbursed faster than ever. 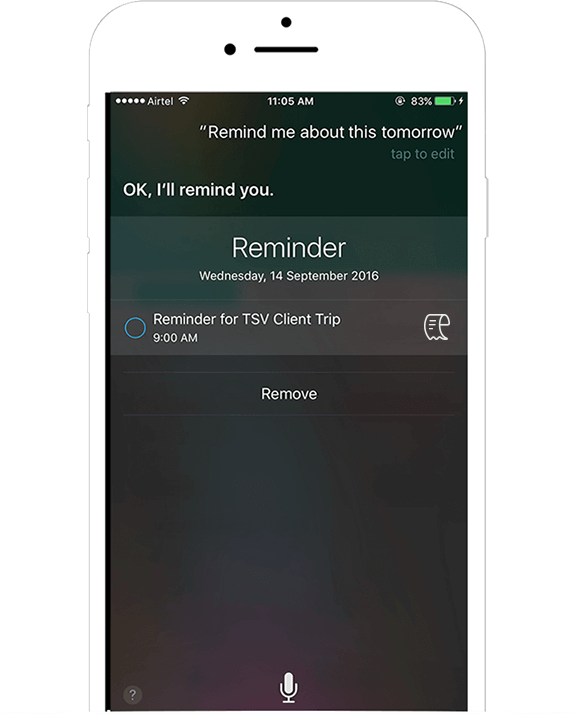 With Siri to help out, it's okay to be forgetful. 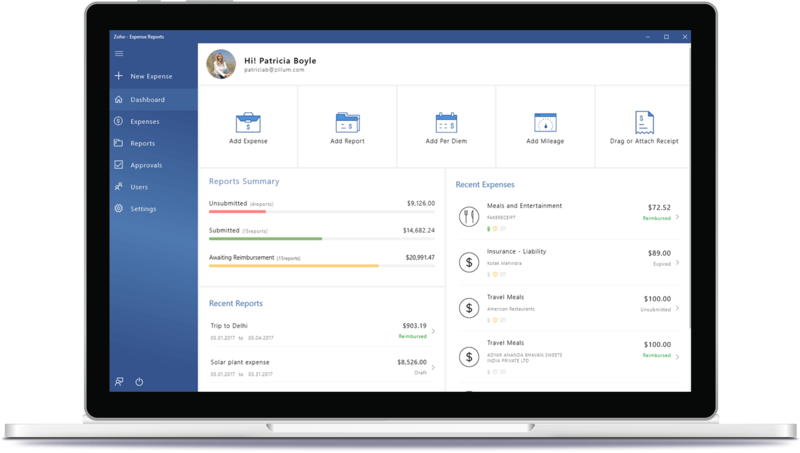 Get notifications about due dates so you can submit your expense reports on time. Lending your phone to someone? 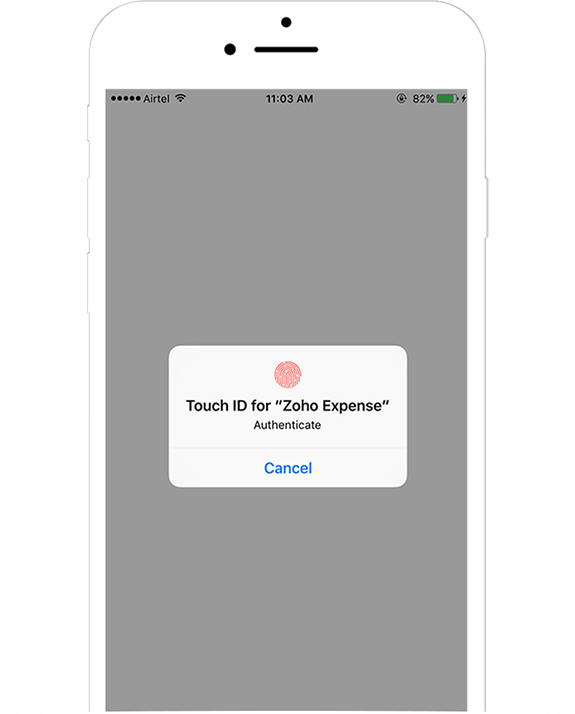 Keep your financial data secure with Touch ID. Take a snap of your receipt and upload it. 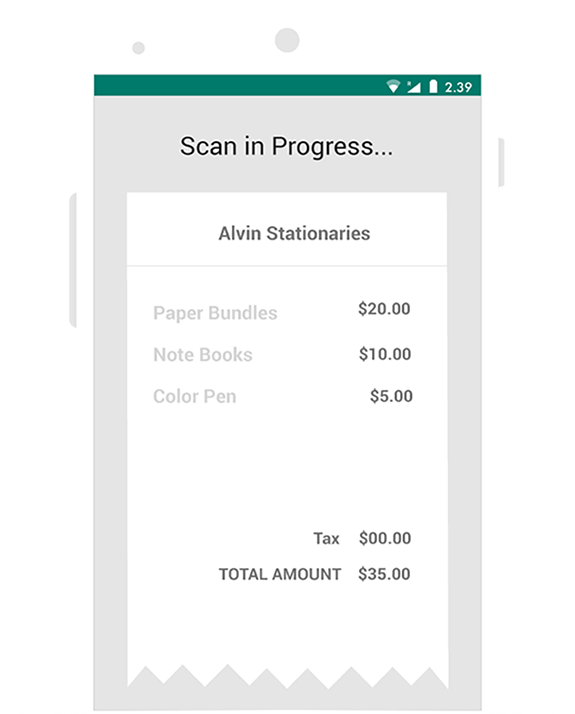 Auto-scan the receipt to create an expense automatically. 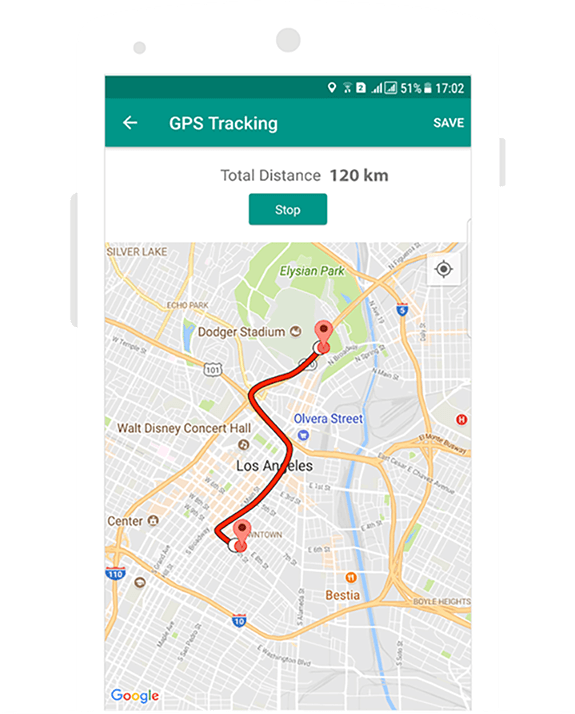 With GPS, the mileage expense that you incur is calculated automatically at the end of each trip. Doesn't get easier than this. Record expenses with shortcuts on your home screen. 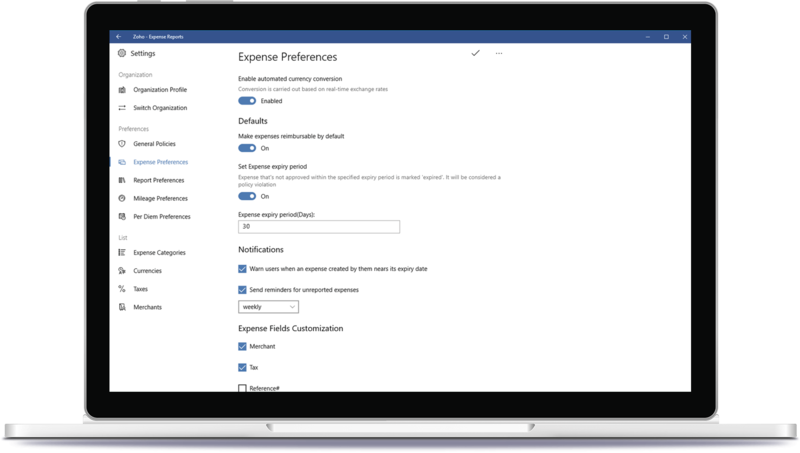 Get insights into your business expenditures on the go with analytics for expenses and expense reports. 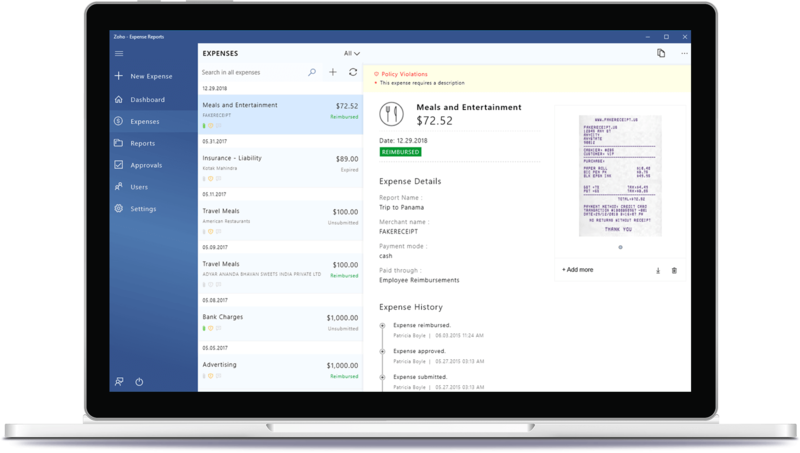 Get a bird's eye view of your expenses using comprehensive dashboard. Take a snapshot of your receipts, upload it and Auto-scan will create an expense entry automatically. Check the policy violation, if any, and approve or reject expense reports. Set up different spending policies and customized preferences.